The mission of the Fair Troop is trifold: to serve the community by helping to provide a clean environment for fairgoers, to be the public face of Scouting for the week–modeling helpfulness, cheerful service, and, of course, cleanliness, and to allow Scout participants the opportunity to learn life skills and to practice what they promise when they recite the Scout Oath and Law. In addition to cleaning and service duties, Scouts have sufficient time to explore the Fair and take part in many other activities, from free shows and demonstrations, to amusement rides, to gaming and social time, to Scoutcraft, Advancements, and Merit Badge work. 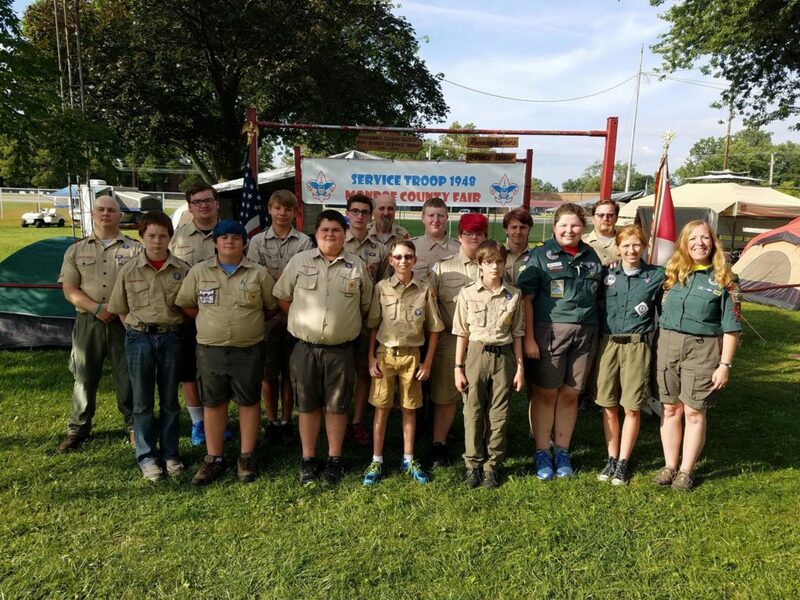 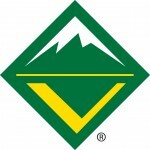 The members of Troop 1948 typically range in age and experience from the younger Second Class Scouts to the older, more experienced Venturers and Eagle Scouts. 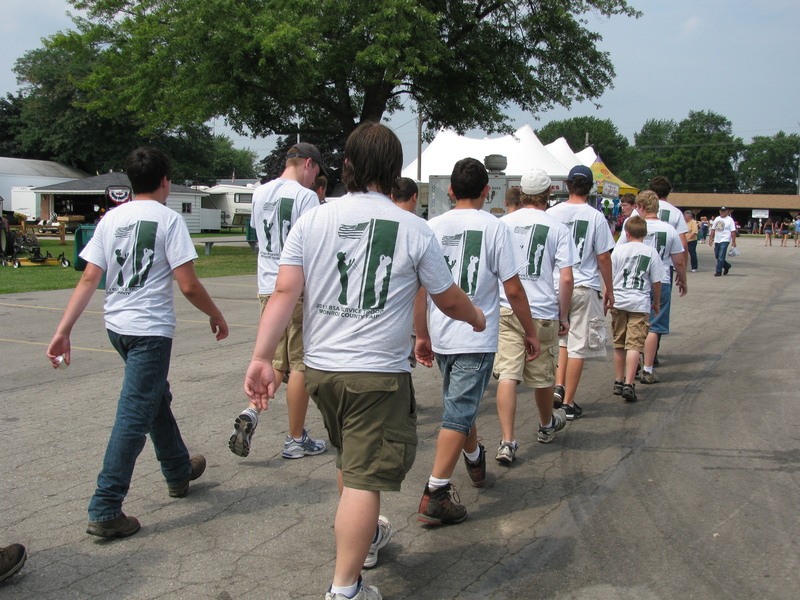 Each spring Scouts and Leaders from Monroe County and surrounding communities are invited to apply to participate in the annual Monroe County Fair Service Troop event, or as it is more familiarly known, “Fair Week.” In order to participate in Fair Week, Scouts and Scouters, both male and female, must be members in good standing of the Boy Scouts of America, must be service-minded, and must not be afraid to work hard or get dirty. 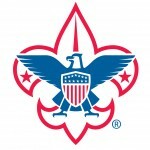 Youth participants must have a minimum of one year experience in the Boy Scouting or Venturing Programs and have not yet attained the age of 21. Leaders must complete all applicable BSA trainings and submit a copy of their current State of Michigan Central Registry Clearance Letter. 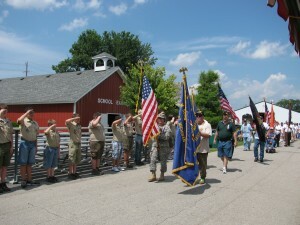 The mission of this historic Troop could not continue without the support of the Scouts and Scouters of Running Waters and the surrounding Districts. Interested parties who meet participation requirements are encouraged to apply by mid-June. 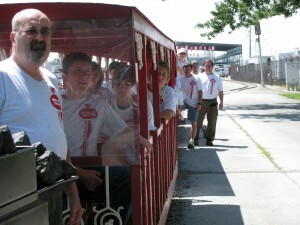 Plans for the upcoming Fair Week are well underway, and we are looking forward to another successful event. 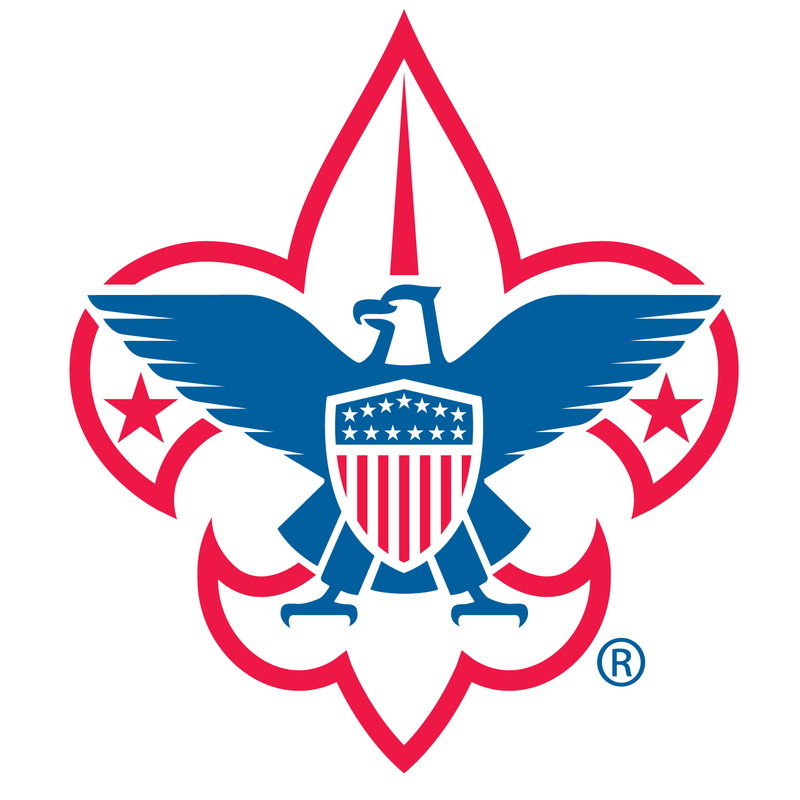 All fairgoers, whether involved in Scouting or not, are welcome to stop by our campsite (northeast corner of the grounds) to say hello!